Younger children who are kinesthetic/tactile learners prefer to be busy and moving around the classroom rather than sitting at a desk where they’re often expected to learn by simply listening and watching. When they’re restricted from being active learners, these children can quickly become bored and side-tracked. This is why it’s perhaps more important for parents and educators to focus on education strategies for the kinesthetic/tactile learner than it is for the visual and auditory learner. Technology can play a big role in grabbing the attention of kinesthetic/tactile learners. It can help educators teach new concepts and critical thinking skills to those students who need a more hands-on experience than other children in the classroom. For the kinesthetic and tactile student, EdTech allows them to be creative and learn in the style they feel most comfortable. The kinesthetic/tactile learner thrives on learning activities that are interactive and computer-based, where they’re able to use their hands, one of the top strategies they use for learning new information. Here are some of the ways that technology can accommodate the kinesthetic and tactile learning styles. Technology can make the process of learning interesting and fun. There are lots of interactive educational apps that have been developed for all learning styles. 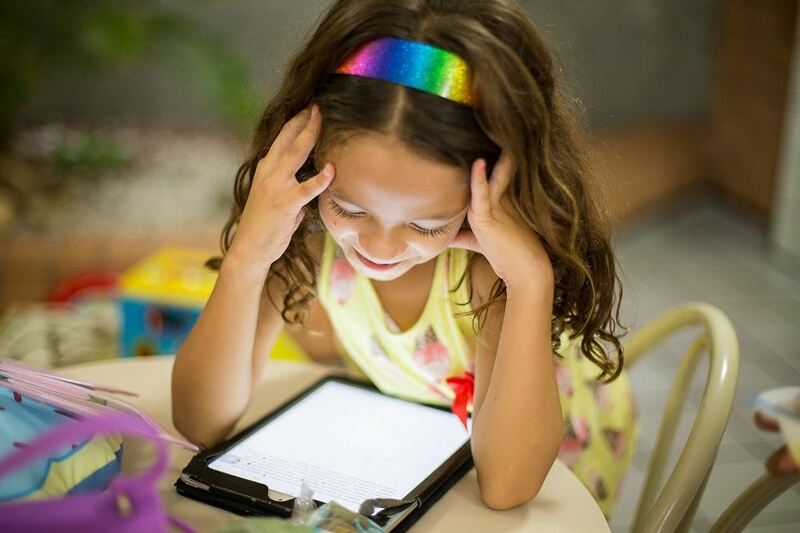 For the kinesthetic and tactile student, those apps that include movement and use of hands are the ones that help them remember information, such as Touch and Write Phonics for younger children. The Touch and Write Phonics app helps beginner readers build up their skills with vowels and phonics. Children use their fingers to trace the letters, letting them interact with the app with both movement and touch. Download this one on the iTunes app for the iPad. Simulations let the kinesthetic/tactile learner interact and engage in games and activities where they’re in charge. They can dive into online scenarios and learn the concepts of reward and consequence. There are numerous interactive online simulations, such as Gizmos and Curiosity Machine. Gizmos are interactive math and science simulations developed for grades 3 to 12. Parents and educators can find Gizmos based on Canadian province standards, grades, and topics. Set up a free account to try the over 400 Gizmo simulation games. For the sake of this article I created an account. After doing the grade 8 level for Fraction Garden, I am not the fraction whiz I thought I was! Another good simulation tool is Curiosity Machine, which is designed for middle and high school students. Free to use, its mission is to teach children all about the science and technology of AI through challenging experiments. This gives the kinesthetic/tactile student the hands-on learning they require. There are some interesting classroom tools that make it easier to keep kinesthetic and tactile learners interested and involved. Inkflow is much like a word processor but it does its magic as visual thinking. Kinesthetic and tactile learners will be able to manipulate the images and use their fingers to write on the screen. Developed for the iPad and iPhone, this is a good EdTech tool for brainstorming new ideas and concepts. SimpleMind+ lets kinesthetic and tactile learners create concept maps where they can lay out one idea and connect it to others. They’ll be able to see just how their thought process flows. They can add pictures, videos, and even voice memos to help them stay organized. This mind mapping tool is available for iPad and iPhone, Android, Macs, and PCs. Educators and parents need to make learning more appealing to kinesthetic/tactile learners and understand what they need to learn successfully in the classroom. With EdTech being such a big focus of learning in 2019, as more EdTech products are developed, let’s hope they focus on software and tools that are as immersive and interactive as possible for the hands-on learner. This should include activities for younger children that involves tapping, swiping, and using the keyboard as much as possible to keep them fully engaged in “doing and touching” activities in the classroom. And more simulation and exploration EdTech that allows older students to experiment and play with new concepts through technology. 3Stafford, R. & Dunn, KJ. (1993). Teaching Secondary Students Through Their Individual Learning Styles. Allyn and Bacon. Accessed on March 30, 2019.